I’m stuck at step no.8. 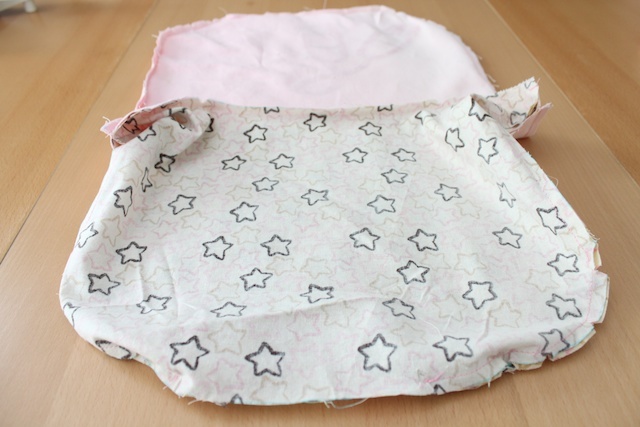 “Place the outer and lining bag pieces together. The outer pieces is wrong side out. The lining’s right side is touching the outer bag’s right side. Match and pin in place.” Help!! I’m an absolute beginner, and I can’t seem to get the matching right or I dont understand the explanation. Can you please help me out. I’ve already cut out and followed up to no.7. Perhaps rephrase the instruction for me? 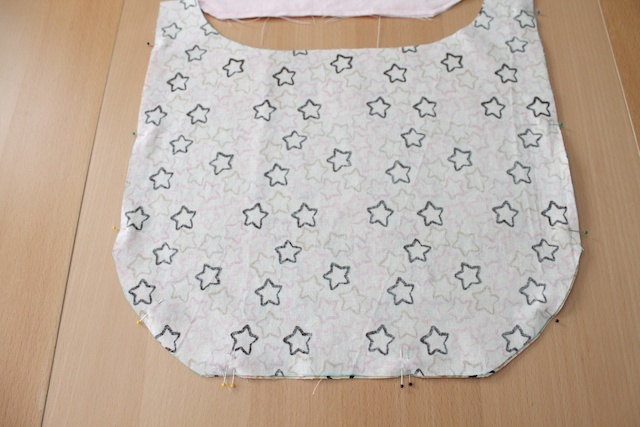 the lining of the bag is the star fabric and the outer bag fabric is the pink fabric in the picture. 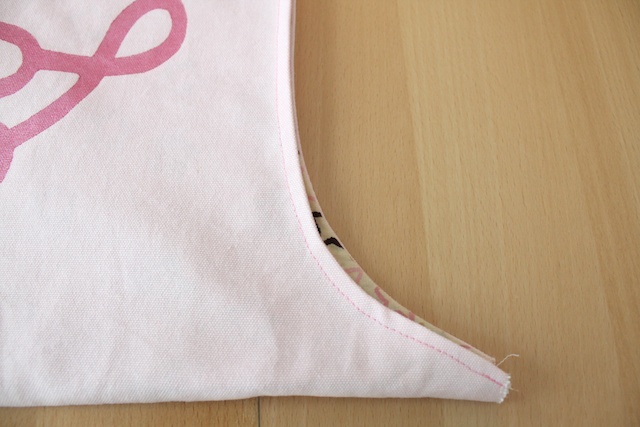 have your outer bag piece flipped with the wrong side facing out. 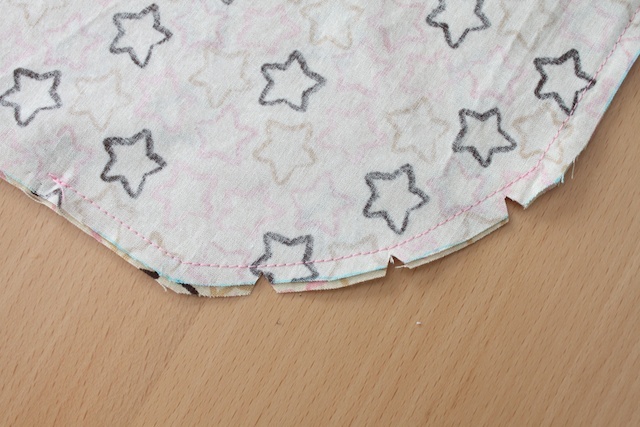 then have your lining piece with the right side facing out. 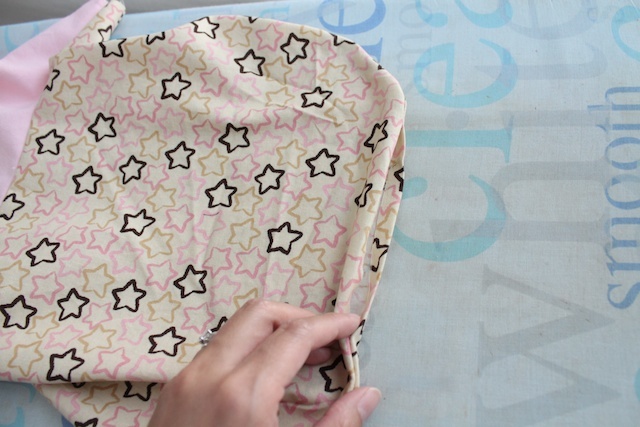 then tuck the lining inside the outer bag piece. the right sides of each bag piece should be touching on the inside. 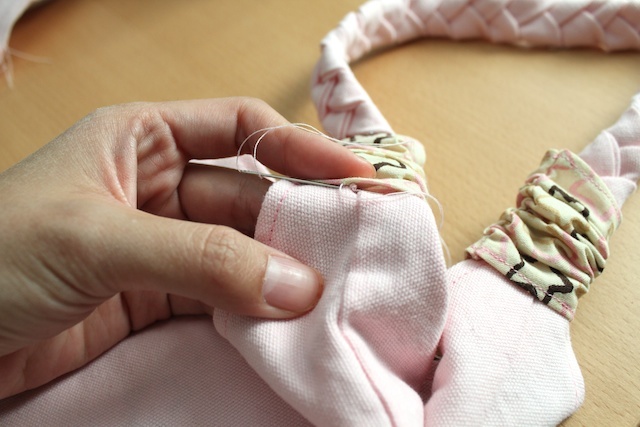 match the openings at the top so you can sew it together. but leave an opening for you to flip the bag right side out. hope that helps. what is the length and width of this bag? 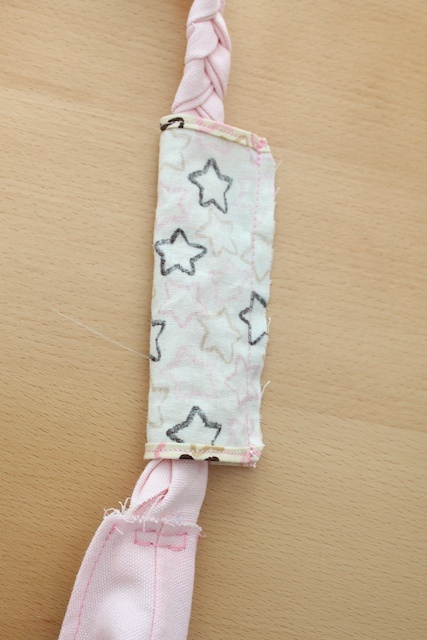 i want to make it bigger with a longer strap. Thats really cute! 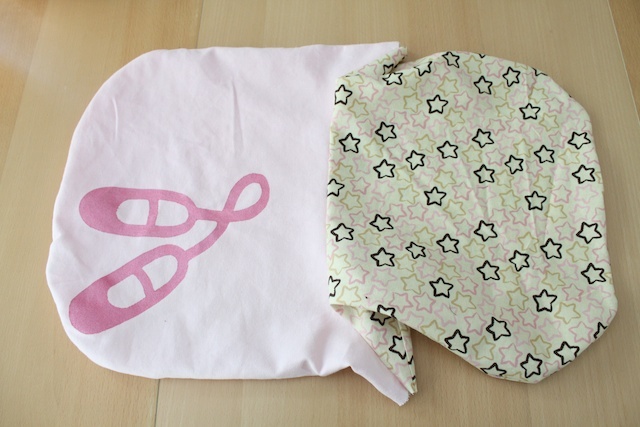 I have bought 2 different prints of ballet fabric to make my little girl a dance bag – i might look at yours! 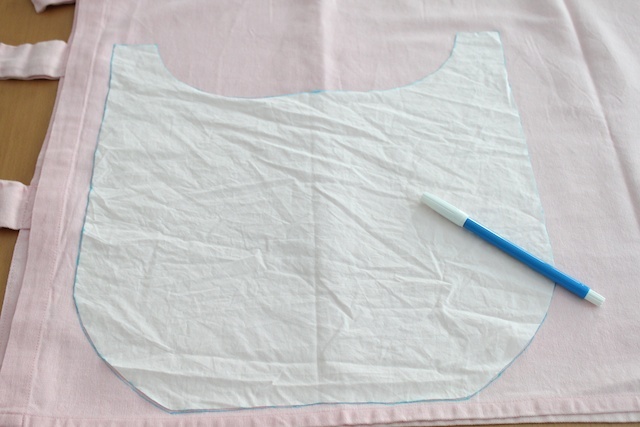 On a different note, if you dont mind, ive never seen freezer paper in Australia – anybody know if there is an equivalent? Wow, I’m terible at following derictions, but these REALLY helped. thank you so much! 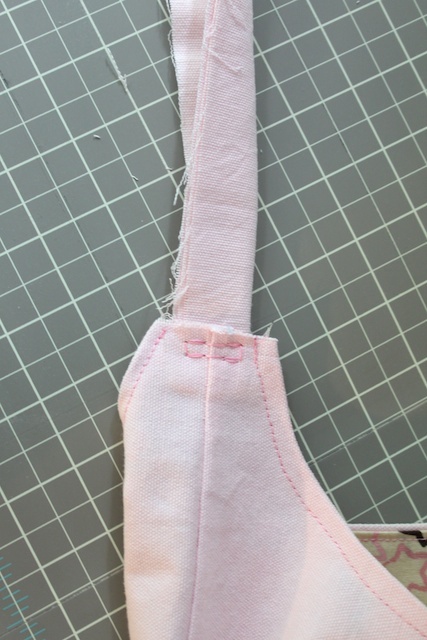 Keep sewing! You should make a vid. But thanks for he great pics and tut! I can’t wait to make it. Soooooooo cute!!! Love the bag super cute! I was wondering about the stencil part though. 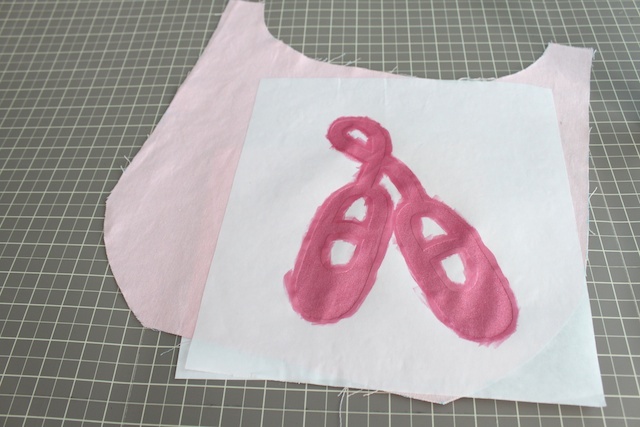 How does the paint turn out perfect on the fabric when its not perfect on the wax paper? Help? This pattern is outstanding! You have a way with tutorial words. 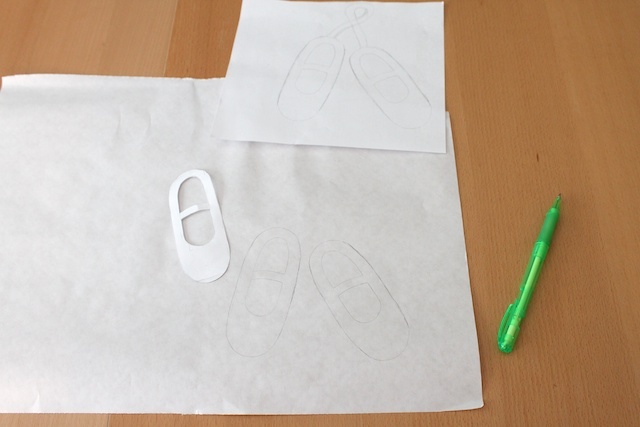 My daughter is over-the-top for ballet, so I made the bag, and substituted toe shoes from some clip art I found online. I’m filling it with assorted ballet gear for her birthday! Thank you so much! 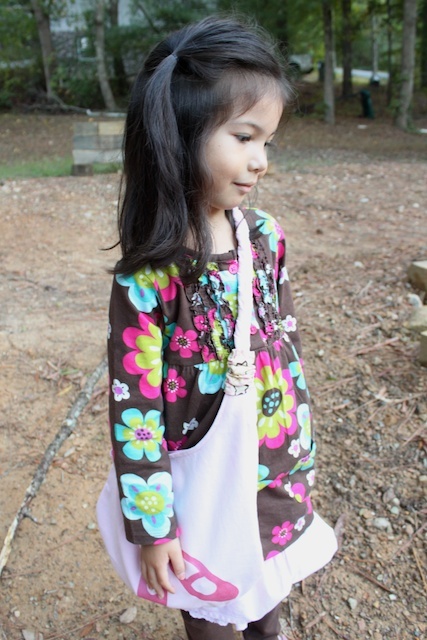 I made this bag (minus the ballet design) for my friend’s daughters. I made them quite a bit smaller (the girls were 1 1/2 and 3 at the time), and added little pockets to the inside and the outside. 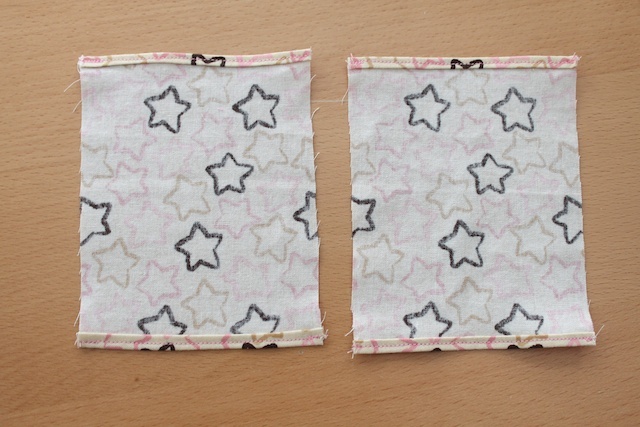 I also added their pictures to the little pockets using t-shirt transfer paper. They were so cute!!! 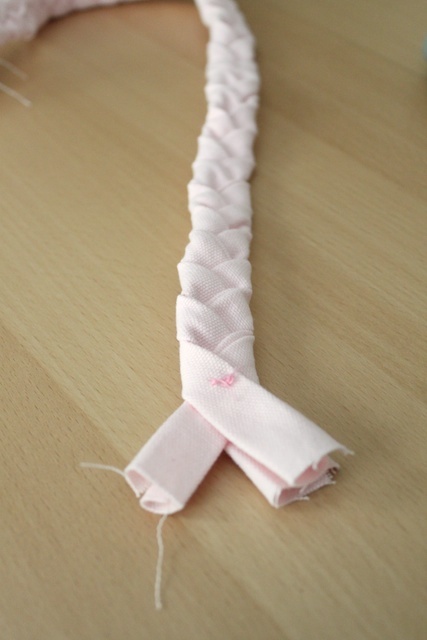 Way cute and so very simple. Adding my own flair to this design. Love it. 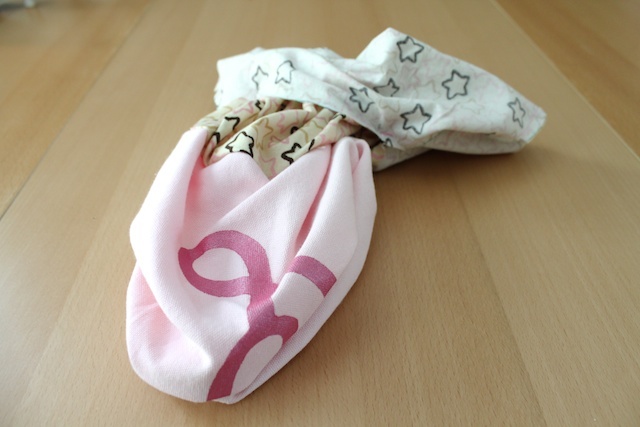 Hi…I want to make these bags for my daughters who are in dance. 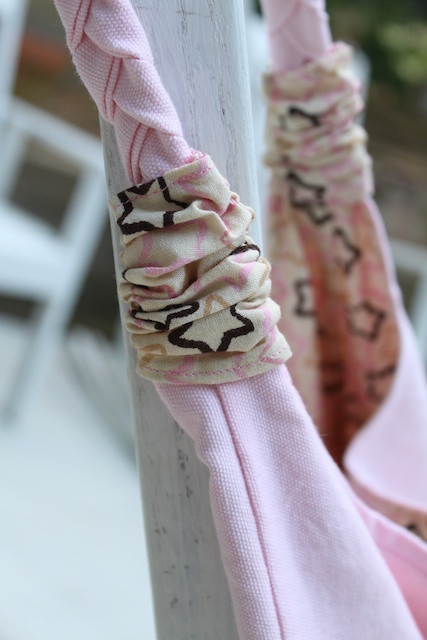 Would you say that the material of the primary fabric is canvas? Thanks for your help! yes. it’s a canvas type fabric. My daughter just started her first year in dance and this will be perfect! 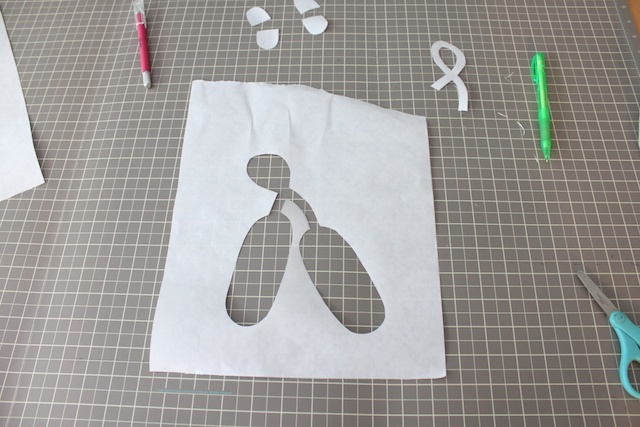 We’ll see how it turns out…Thanks for the inspiration! This is adorable! I love the braided handle! 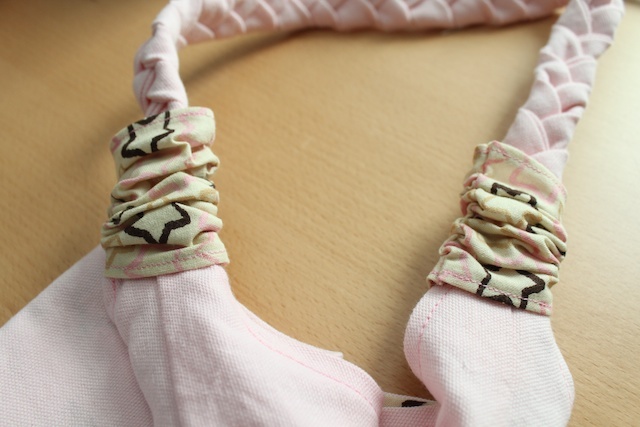 Thanks for the tutorial–I’m sharing it on FB! This pattern worked great! I am a beginer, and had no trouble at all. Thank you for being so clear and thorough- my little girl was THRILLED! I love your design, Thank you for sharing!! 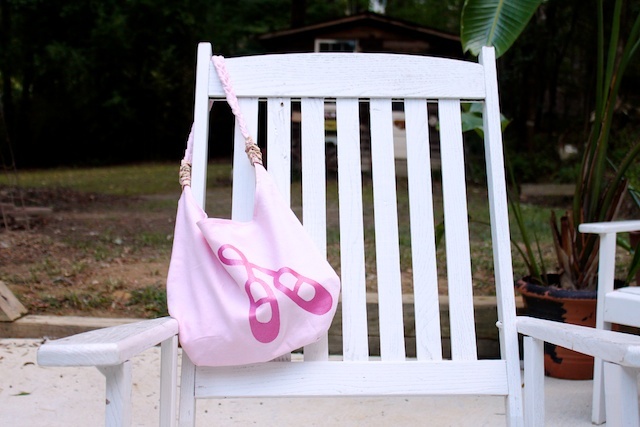 Hi, love your bag so much I featured it on my blog today! I love this pattern. 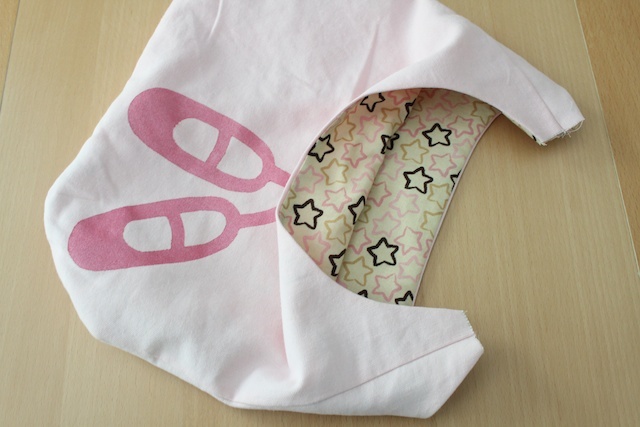 I made it for my grand-daughter who is about to start dance lessons. 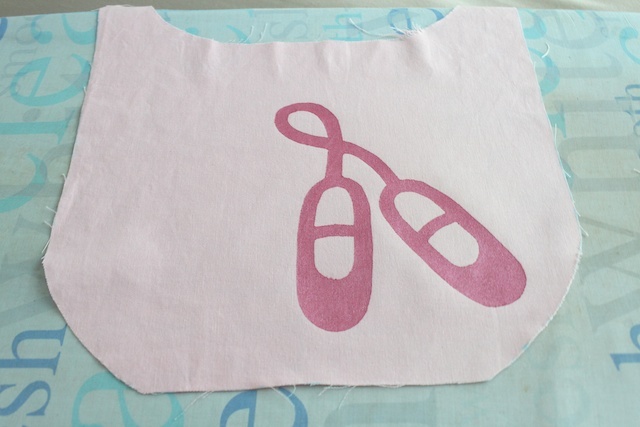 The only thing I did different is that I appliqued the ballet shoes, instead of painting them. I also added fusedable interfcing, since I used a thin material. Thank you so much. 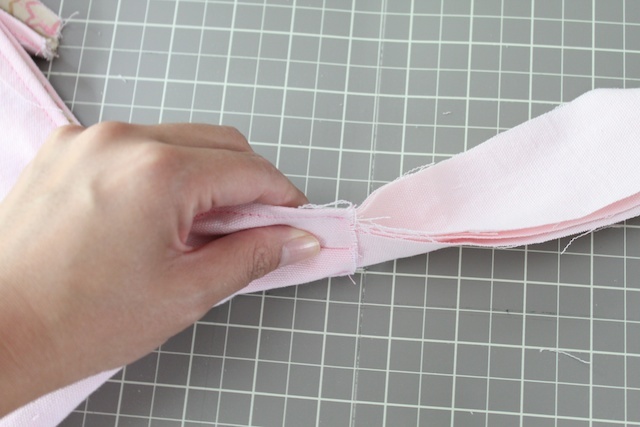 What types of fabric did you use? it’s hard to tell from the pictures. 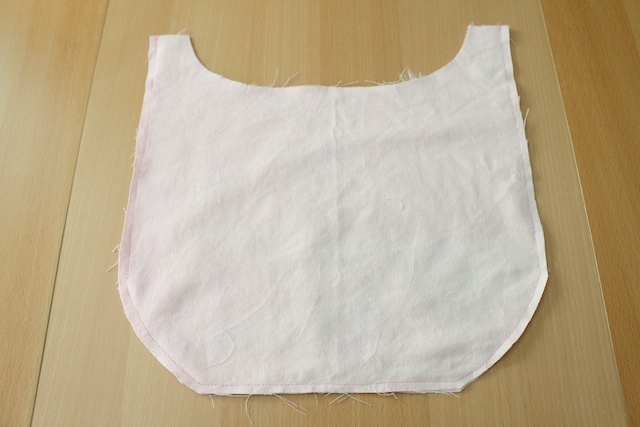 it looks like the outer fabric may be canvas, but it doesn’t look like the inner lining was canvas. 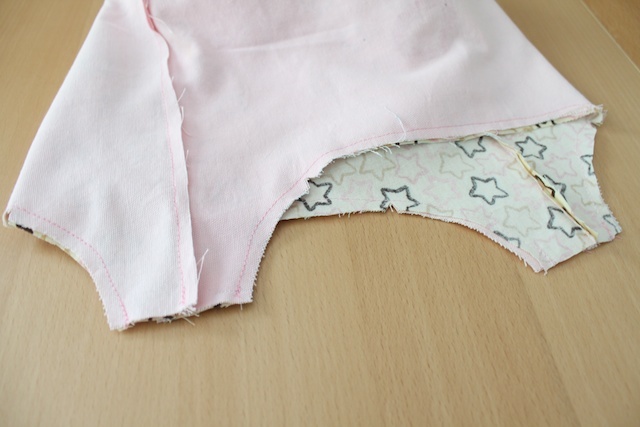 the inner lining was just your typical quilter’s fabric. reg cotton stuff. Could you suggest a pretty stencil for a bag that goes to architecture college with me? Great bag. I embroidered cupcakes over a “sprinkle” material. Inner is all over cupcake pattern. A great surprise for a grandaughter. Wonderful directionbs too. Thyank you.